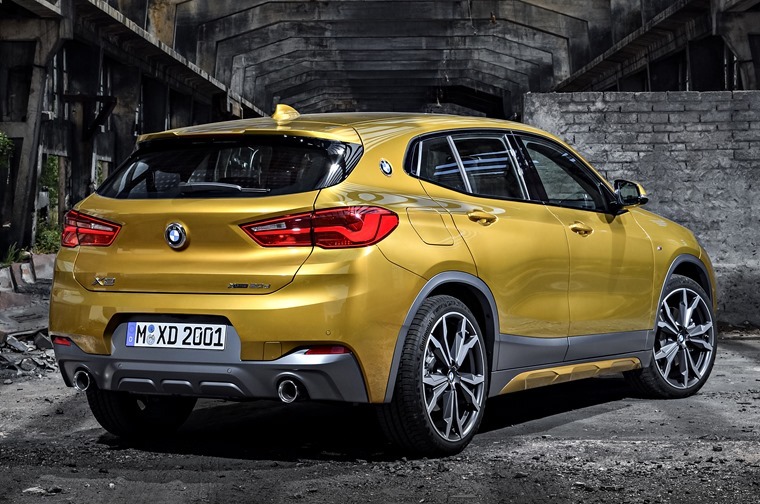 The all-new BMW X2 has officially arrived in the UK, and it’s now available to lease for less than £350 per month. An alternative to the Range Rover Evoque and Jaguar E-Pace, we’ve been for a drive, and you can read our full review here. 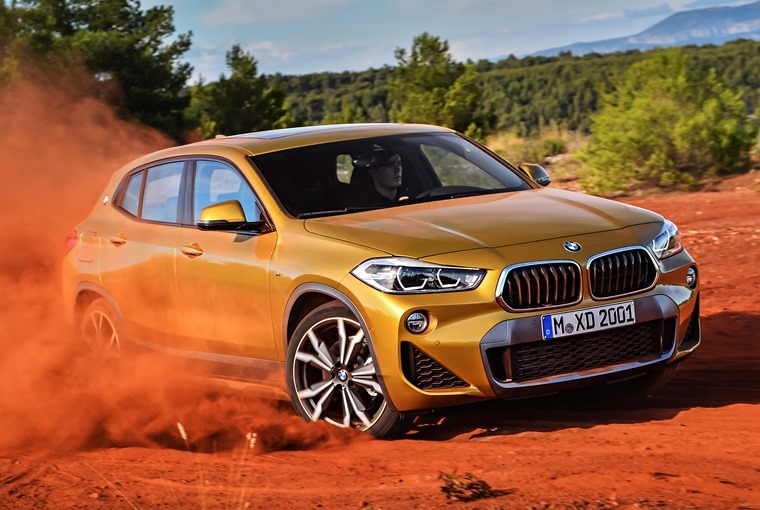 As the name suggests, it sits between the smaller X1 and larger X3 but gets a chunkier, sportier appearance than either of them. That said, the 470-litre boot is actually 35 litres smaller than the X1’s due to that lower, squarer body. 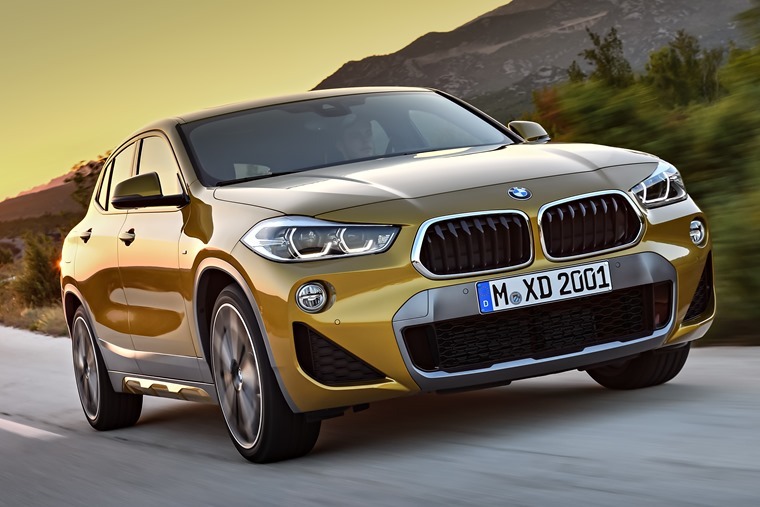 Although many classic BMW designs like the trademark kidney grille are present, its appearance is rather more daring than we’re used to seeing from BMW, and it is clearly designed with the increasingly crowded crossover market in mind. 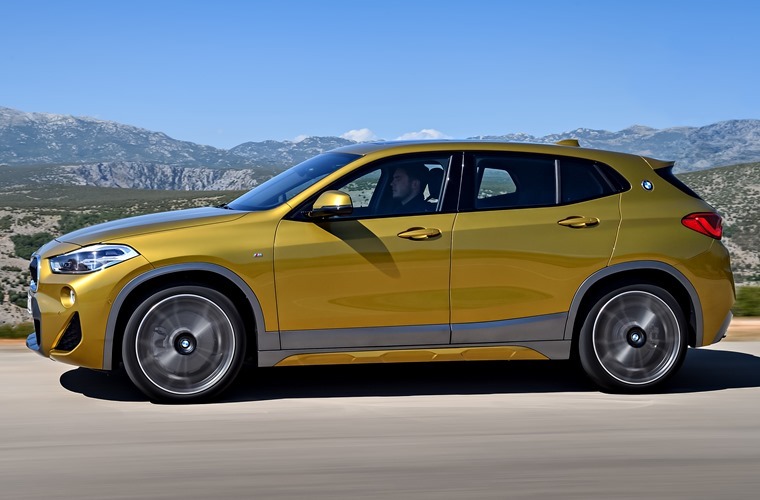 That coupe-like roof gives it a sportier demeanour than the X3, while up front large air intakes stay true to the original X2 concept, although it’s gained a set of fog lights which appear to have been borrowed from the X1. Things are a little more restrained at the rear though, which now features smaller exhaust exits and taillights than the concept car originally suggested. 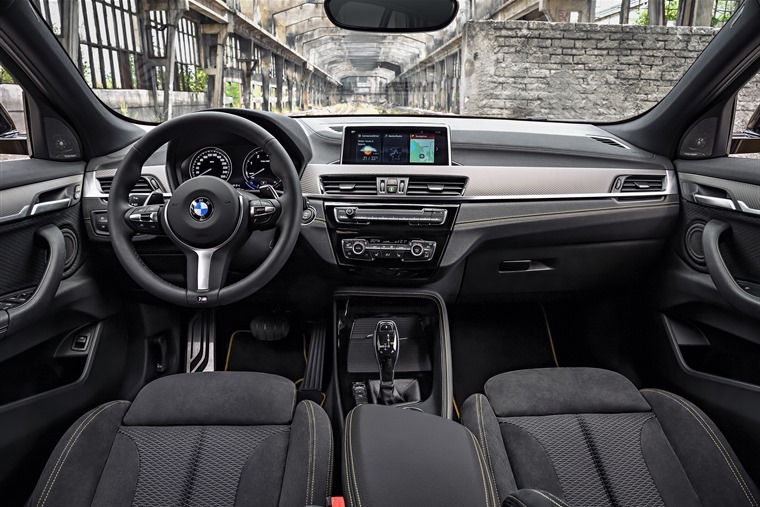 It gets a more up-to-date appearance than the ageing X3 on the inside, featuring BMW’s latest switchgear design as well as the most recent iDrive infotainment system. As always, BMW’s driver-orientated cabin design is evident – a dashboard that’s pitched ever so slightly towards the driver. Several trims will be offered from launch including entry-level SE that features 17in alloy wheels, dual-zone climate control and satnav. 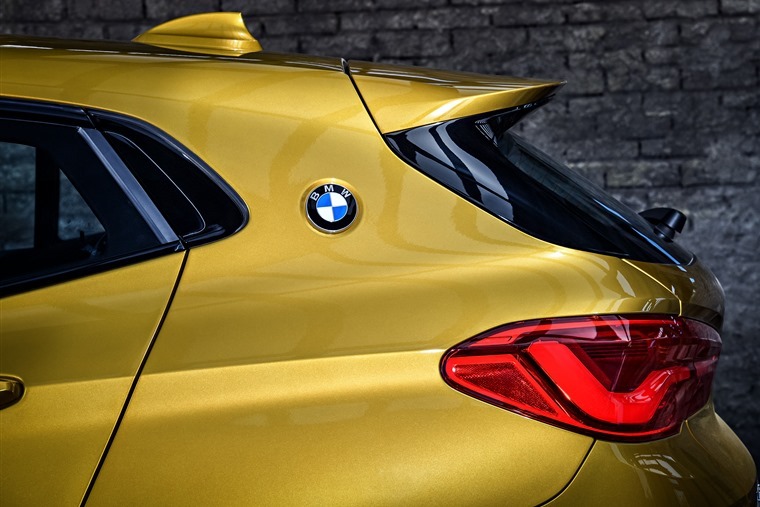 Mid-range Sport will add sports seats and LED headlights, while M Sport and M Sport X models get a chunkier body kit and large 19in alloy wheels. Customers will have a choice of a two-wheel-drive (sDrive) turbo petrol S20i, producing 228bhp and two four-wheel-drive (xDrive) diesels that produce 118bhp and 228bhp respectively. Other engines will join the line-up later, including two 1.5-litre three-cylinder petrols and another two xDrive diesels. Depending on specification, cars will feature either a six-speed manual or seven-speed dual-clutch automatic gearbox, while the more powerful diesels feature an eight-speed ‘Steptronic’ automatic transmission. Although this is to be confirmed, a range-topping M-badged high performance model may be in the works, which is likely to be fitted with a potent 2.0-litre turbocharged petrol unit and will be the range-topping model when it hits the market. It’s available to lease right now, and you can find all the very best personal deals by clicking here. Alternatively, check out our thoughts on this E-Pace rival here in our full review.